For several years the New Mexico History Museum at the Palace of the Governors in Santa Fe ‘courted’ local collector John Bourne with the hope that he would donate his collection of Pre-Conquest metal objects to the museum. In 1995 Bourne donated a gold monkey head bead from Peru and a Panamanian gold pectoral to the museum. Bourne then loaned the museum several objects, including two gold Moche ear spools and a gold Moche rattle, which went on display in 1996 (Constable 2008). In 1997 Bourne pledged to donate his entire collection to the museum, a gift valued at about 2 million USD (Constable 2008). Following a visit to the museum in 1998, Peruvian archaeologist Walter Alva speculated that the monkey bead came from the famously looted Moche site of Sipán in Peru’s Lambayeque Valley. He contacted the FBI who sent Special Agents Bob Wittman and Brian Midkiff to meet with then director of the museum Thomas E Chávez on 29 September 1998 (Atwood 2003). Chávez told the agents that Bourne had implied, although not directly said, that he had inherited the donated pieces from his father who imported them into the US long before specific import restrictions were put in place. Chávez said that the museum would be happy to cooperate with the return of the object if it could be proved to have been looted. The agents then met with John Bourne who told them that the pieces had not come from his father, rather that they were purchased in 1987 from a dealer named Ben Johnson who had died in 1990 (Atwood 2003: 85). Benjamin Bishop Johnson was a former art historian and conservator who entered the art dealership business in 1979 due to severe medical issues (Kirkpatrick 1992). According to the testimony of Michael Kelly, a man involved in an antiquities smuggling ring, in 1987 Johnson purchased a shipment of material from Sipán only six months after the site was looted. The objects had been routed through the UK by David Swetnam with the aid of Kelly who was to assert a false provenance for the pieces (Kirkpatrick 1992). Bourne told the FBI agents that he paid Johnson in cash for the items in question and did not ask for a receipt (Atwood 2004: 85). The monkey head bead, along with the two ear spools and the gold rattle also from the Bourne collection, were impounded by the FBI at Peru’s request under the US National Stolen Property Act (Atwood 2003; Constable 2008). 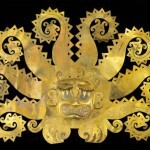 Bourne claimed that the pieces came from the looted archaeological site of La Mina, a claim that would exempt the pieces from the 1990 US emergency import restrictions placed on antiquities from Sipán. Archaeologists such as Walter Alva determined that the objects had been recently looted and came either from La Mina or Sipán, but could not conclusively determine exactly which of these two related Moche sites they came from (Atwood 2003). This determination did not satisfy Chávez, who maintained that there was still no conclusive proof that the Bourne Collection objects had been looted. According to Alva ‘what that museum did was launder stolen property’; according to Chávez ‘Alva wanted to do a reverse looting…I am not going to let that happen without some proof’ (quoted in Atwood 2003). In 2000 the U.S. Attorney General’s office decided not to prosecute, both because Bourne stated he purchased the artefacts in the US in 1987 (before import restrictions were established for Peruvian artefacts) and because the pieces could not be definitively assigned to Sipán. The objects were returned to the museum and museum officials vowed to research the provenance of all the objects (Constable 2008). In May 2008 the museum formally closed its exhibit ‘Art of Ancient America’, which was composed of pieces from the Bourne Collection, and announced that they would not be seeking the donation of the collection. Francis Levine, who became the director of the museum after Chávez retired in 2004, stated that in the long run the museum wished to focus on the history of New Mexico and that the Bourne Collection did not fit with this vision (Constable 2008; Nelson 2011a, 2011b). All of the objects loaned by Bourne were returned, but the museum kept the objects that had already been formally donated, including the monkey head bead. At the time Bourne expressed interest in creating his own museum (Constable 2008). 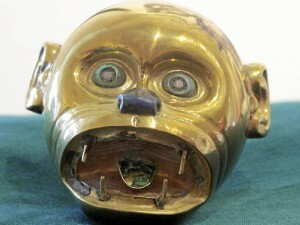 In 2007, Spain returned a similar monkey head bead to Peru (Oswald 2011). This return renewed interest in the New Mexico case and in May 2011, the Peruvian government again sought the return of the monkey head bead. An investigation led the US Attorney’s office in the District of Delaware to declare that the bead came from Sipán (Nelson 2011c). In response to these findings, the New Mexico History Museum board of regents voted in October 2011 to return the bead to Peru. Karen Durkovitch, president of the boar, stated that they ‘gave the matter our serious consideration and came to the conclusion that it’s appropriate to work collaboratively with the Peruvian government’ (quoted in Oswald 2011). 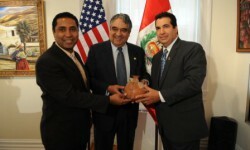 On 8 December, 2011, a ceremony was held at the Peruvian Embassy in Washington D.C. during which the monkey head bead was formally returned to the people of Peru. The bead had been on loan to the Walters Art Museum in Baltimore following the close of the ‘Art of Ancient America’ exhibit in Santa Fe (Oswald 2011). Levine said ‘we’ve seen that many cultures want certain things back because their emotional tie is so strong to the materials and to the legends and the stories and the history. It’s truly their cultural patrimony’ (quoted in Oswald 2011). ‘A reputation for integrity, cultural sensitivity and cooperation are critical to us and foremost in our considerations regarding this request’ (Levine, quoted in Nelson 2011c). Levine also acknowledged the museum’s interest in reuniting the monkey head bead with the one returned by Spain in 2007. When asked to comment on the return of the monkey head bead, Bourne said that he was pleased with the repatriation: ‘I support the process of due diligence that has led to it returning to Peru’ (Bourne quoted in (Nelson 2011c). Bourne defended his decision to donate the bead to the museum: ‘It was nice to have it here. A lot of people couldn’t afford to go to Peru or even to New York to see these kinds of things. A lot of people here saw the monkey head’ (quoted in Oswald 2011). When interviewed, he declined to comment on how the piece entered the United States (Oswald 2011). In 2009, seventy pieces from the Bourne Collection were donated to the Walters Art Museum in Baltimore with 230 more pieces promised by the collector. Bourne also bequeathed 4 million USD from his estate to the Walters to endow a centre for the study of the art of the ancient Americas (Kaltenbach 2011). This donation included the ear spools (also known as earflares) and the ornament that were subject to the original FBI seizure. They are listed on the Walters website as being from the ‘North Coast, Peru’ and their provenance is listed as ‘John G. Bourne, 1980s, by purchase’ (presumably meaning purchased by Bourne; Accession number TL.2009.20.65 and TL.2009.20.71; (The Walters Art Museum)). Further contextual information is not provided. Atwood, Roger (2003), ‘The Monkey’s Head’, Website of the Alicia Patterson Foundation, < http://aliciapatterson.org/stories/monkeys-head>, accessed 12 April 2012. — (2004), Stealing History: Tomb Raiders, Smugglers, and the Looting of the Ancient World (New York: St. Martin’s Press). Kaltenbach, Chris (2011), ‘Walters receives artwork, promise of $4 million bequest from New Mexico collector’, The Baltimore Sun, 8 September. Nelson, Kate (2011a), ‘A Museum Returns an Ancient Artifact… with Style’, NM History Museum News Blog, Posted 8 December. 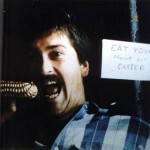 <http://www.nmhistorymuseum.org/blog/?p=1605>, accessed 7 August 2012. — (2011b), ‘Press Release: History Museum to Return Peruvian Artifact’, 7 December. <http://media.museumofnewmexico.org/press_releases.php?action=detail&releaseID=198>, acessed 7 August 2012. 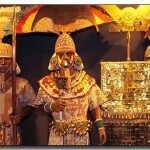 — (2011c), ‘History Museum to Return Peruvian Artifact on Thursday’, NM History Museum News Blog, 7 December. <http://www.nmhistorymuseum.org/blog/?p=1597>, accessed 7 August 2012. Oswald, Mark (2011), ‘Museum to Repatriate Artifact’, Journal North, 8 December. The Walters Art Museum (2012), ‘Earflares’, Website of the Walters Art Museum <http://art.thewalters.org/detail/80220/earflares/>, accessed 19 April 2012. — (2012), ‘The John Bourne Collection Gift’, Website of the Walters Art Museum, accessed 21 April 2012.